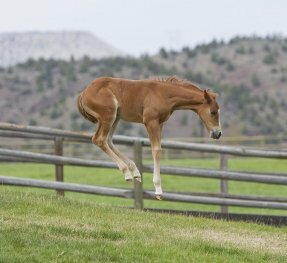 The excitement and satisfaction that come with ownership of a quality performance horse are undeniable. 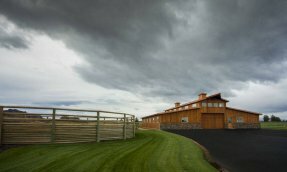 At Coyote Rock Ranch, we’re driven by a passion for high-end cutting horses. That’s why we’re committed to breeding and raising well-bred quarter horses with the pedigree and care to become tomorrow’s champions. 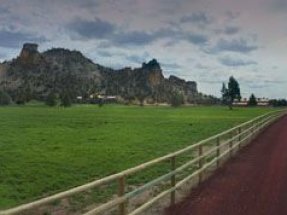 Located in the beautiful high desert country of Central Oregon, just outside Redmond, in the small town of Terrebonne, Coyote Rock Ranch is a horse lover’s paradise. 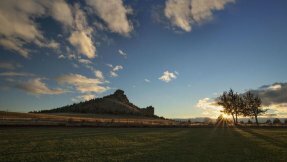 Tucked away among the juniper-dotted hillside, surrounded by breathtaking mountain vistas and stunning rock formations, lies a secluded, serene oasis of green. 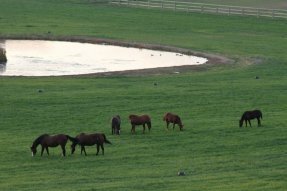 Here, broodmares and foals roam and graze on acres of irrigated pastures, and alfalfa and grass hay is grown. 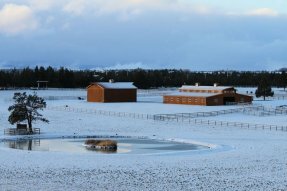 This is the heart of our breeding operation, where top-performing broodmares are matched with proven sires, and future cutting horse champions are bred and born. We are committed to quality in everything we do. 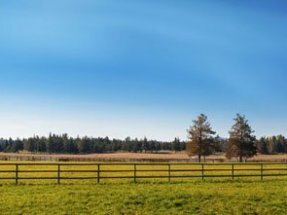 Be sure to contact us if you’d like to learn more about our broodmares, agriculture, or our prospects. 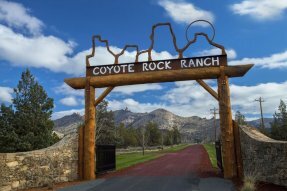 We look forward to welcoming you to Coyote Rock Ranch. At Coyote Rock Ranch, we’re known for breeding and raising high-end cutting horses - but it’s our exceptional people who make it all possible. 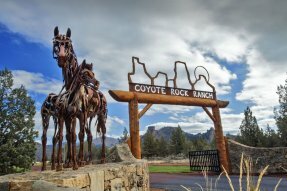 The Coyote Rock Ranch team is dedicated to ensuring excellence. Read the profiles below to learn more about who we are. Want to get to know us better? Give us a call or send us an email. We look forward to meeting you. 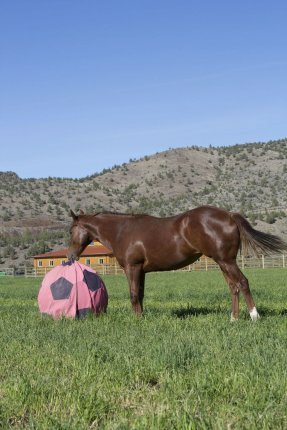 Penelope Knight purchased Coyote Rock Ranch in 2004. 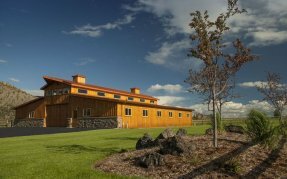 She and her husband, Phil, live at the ranch in the summer through the early fall. 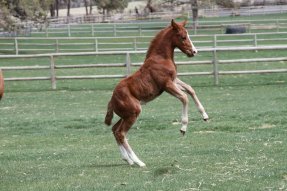 She enjoys seeing the progress that occurrs over fall, winter and spring and the new foal crops. Penelope is an avid supporter of equine research. Her favorite things about Central Oregon are the beautiful vistas, mountains, hay fields, clean air, and low-stress lifestyle. In her spare time, Penelope enjoys long-distance walking, reading, needlework, watching sports, and traveling. 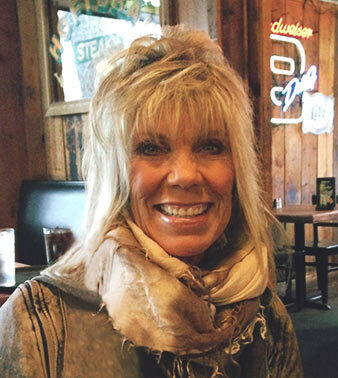 Sue O. Hagerty began working for Coyote Rock Ranch in 2006. 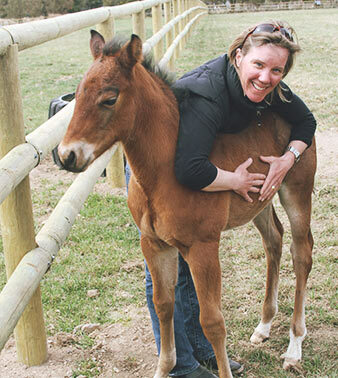 As the Director of Operations at the ranch, she is responsible for overseeing the ranch’s operational systems and budgets, as well as the equine program. 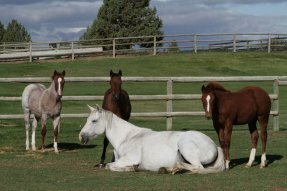 Sue manages the broodmares and the breeding program, foals out all the mares, develops individual nutrition plans for each horse, assesses and promotes the ranch’s young prospects, including selecting their trainers and creating and monitoring performance goals for each prospect. Her favorite parts of her job are calling the ranch her office, business walks with the boss, and the multitude of opportunities to gain knowledge and continually improve and evolve the program. She feels it is a dream come true to live in Central Oregon and manage a program that raises phenomenal prospects. In her spare time, Sue enjoys riding and showing horses, jogging, hiking, singing and spending time with her two young daughters and her husband, Eric. 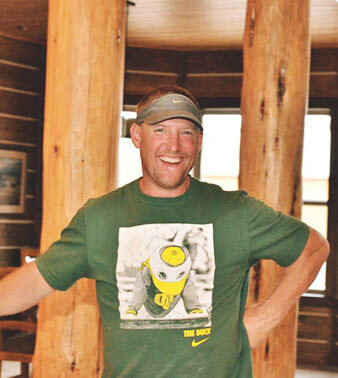 Eric Hagerty began working for Coyote Rock Ranch in 2008. 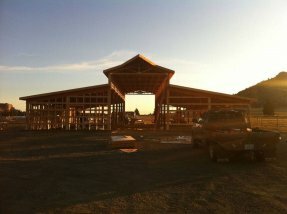 He is the Property Manager and Building Contractor for the ranch, and is also in charge of hay production. Eric manages hay production and sales and all property maintenance. 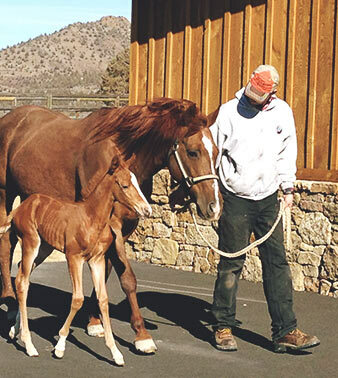 He also assists his wife, Sue Hagerty, with foaling. His favorite part about his job is the fact that he gets to do something different every day, and there is always a challenge. Eric also enjoys working with Penny Knight, the property owner, in creating, improving, and adding to the property, including designing and constructing new buildings, and adding roads and walking paths. An avid hunter, Eric has travelled across the country and the world to hunt elk and sheep, including but not limited to Alaska, New Mexico, and New Zealand. 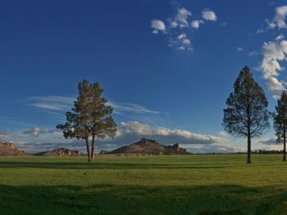 His favorite things about Central Oregon are the blue skies and sunshine. 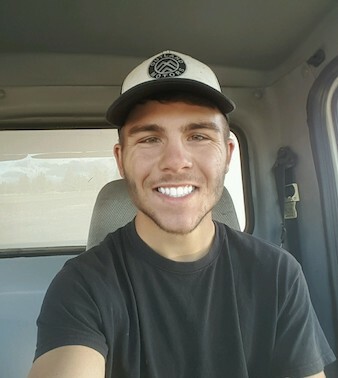 Jake Richardson began working for Coyote Rock Ranch in 2009. 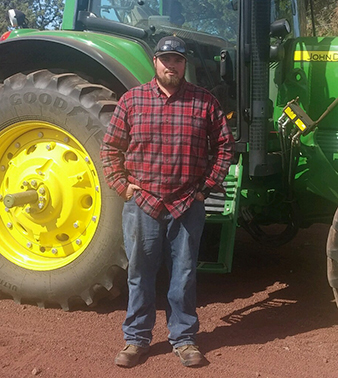 Jake does a little bit of everything on the ranch, leading alfalfa irrigation, and also assisting with hay production and mechanical work. He is also responsible for fixing things that break, including ranch equipment. His favorite part of his job is the family atmosphere at the ranch, which feels like a second home to him. 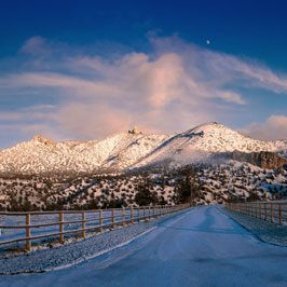 Jake’s favorite thing about Central Oregon is the variety of things to do — from playing in the snow in the winter time, to hunting, fishing, and hiking year round. His hobbies include fishing, hiking, dirt biking, and other outdoors activities. 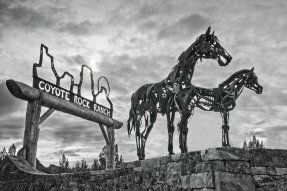 Royce Hancock began working for Coyote Rock Ranch in 2012. 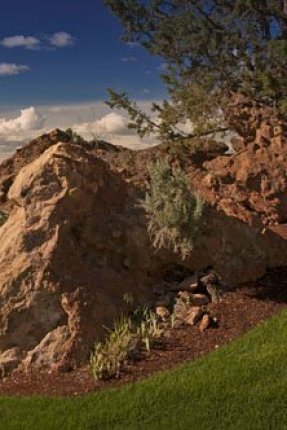 He is the Landscape Foreman at the ranch, and oversees all of the manicured areas. Royce is responsible for mowing the grass, edging, fertilizing, and maintaining trees and shrubbery on the property. His favorite part of his job is seeing how beautiful the ranch looks after the work is done. 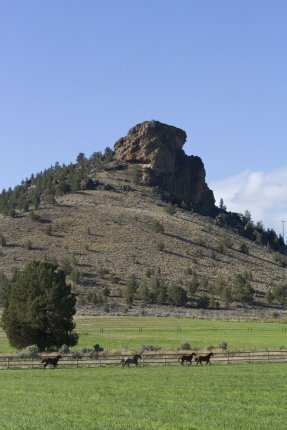 He likes the family atmosphere at the ranch, and appreciates the excellent weather in Central Oregon. In his spare time, Royce enjoys hunting and spending time with his family. Brooke Woodruff began working for Coyote Rock Ranch in the fall of 2012. As Project Manager, she plans and implements efforts relating to ranch business systems, information technology, marketing and special projects. Brooke also provides maintenance and support for existing business systems. Her favorite part of her job is the team she works with. 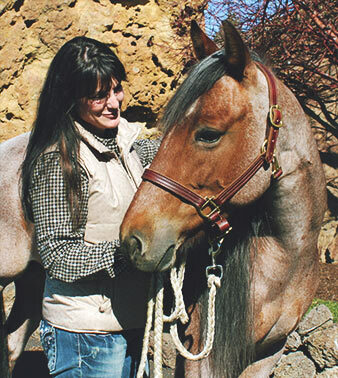 She loves the horses, the environment, the diversity of her work, and the views in Central Oregon. In her spare time, Brooke enjoys gardening, hiking and carpentry. Jeffery Burnette began working for Coyote Rock Ranch in 2013. 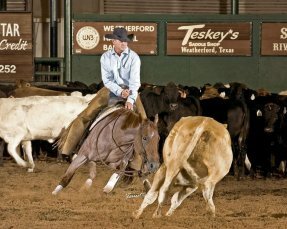 As Ranch Hand – Equine, he is involved in caring for the horses and keeping the barns and paddocks they occupy pristine and manicured. Jeff’s favorite part of his job is working with and being around the horses at the ranch. 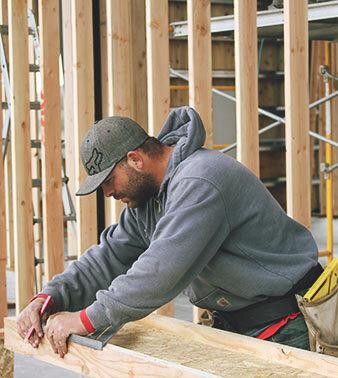 He enjoys working in Central Oregon because it allows him to spend a lot of time outdoors. In his spare time, Jeff enjoys bow hunting, riding four wheelers, and spending time with his family. Jerid Inman began working for Coyote Rock Ranch in 2015. 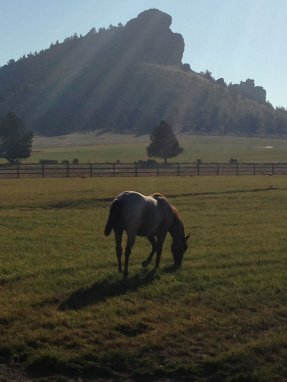 He is a member of the hay team and helps to maintain the immaculate landscapes on the ranch. 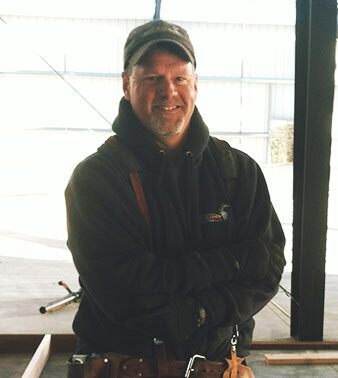 Jerid likes everything about his job, especially being outside and always having the opportunity to learn new things. 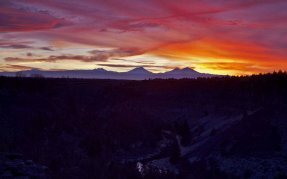 His favorite things about Central Oregon are the sunsets, great views, and the smell of sage in the morning. When not at work, Jerid loves camping with his family and hunting and fishing. 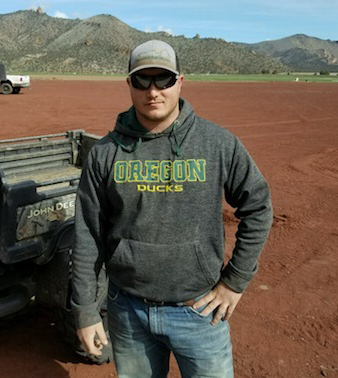 Dustin Cook began working for Coyote Rock Ranch in the spring of 2016. 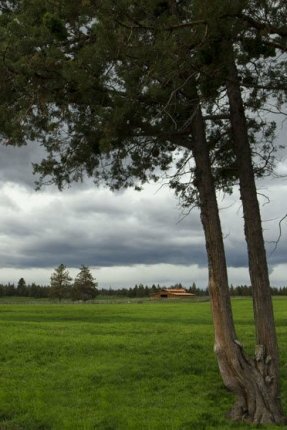 His primary work consists of mowing, edging, watering and fertilizing the many acres of grass on the ranch. 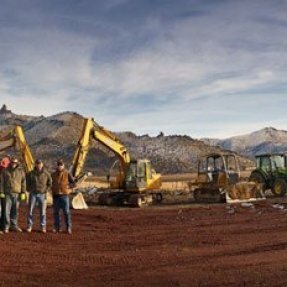 Dustin also lends a hand in other ranch operations in the winter months including construction, pipe installation and ground work. In his off time he enjoys playing football, hunting, fishing and spending time with family and friends. John Richardson began working for Coyote Rock Ranch in the spring of 2016. He is part of the landscape crew and also assists in the production of hay. John often feels like the ranch is a home away from home. It offers a unique enviroment with a crew that is like family. It is simply an unbeatable place to call work. When John is not at work he enjoys being a legend at rocket league , getting together with friends, and just enjoying life. Rich Castrow began working for Coyote Rock Ranch in the summer of 2017. 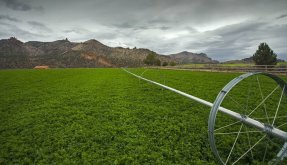 As an Assistant Manager he oversees the hay operation, irrigation and landscape teams for the property side of the ranch. 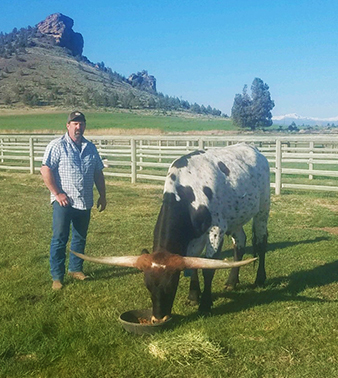 Rich also cares for the health and nutrition of the 2 ranch long horn steers. His favorite part of the job is working with the great teams and the diversity of daily tasks. When he is not at the ranch, Rich enjoys spending time with his wife and kids doing activities, such as camping, raising quality cattle, and watching their kids grow and excel in 4H and FFA. 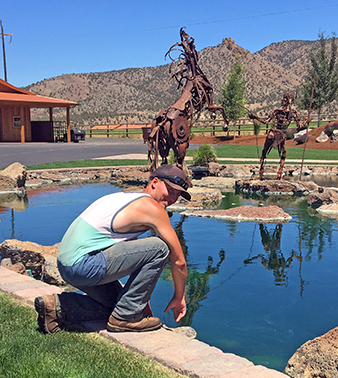 Trevor Quigley started work at Coyote Rock Ranch in the spring of 2018. 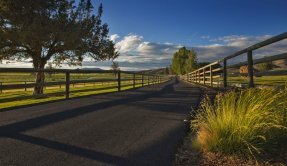 His duties on the ranch include landscape maintenance and irrigation. In his free time Trevor enjoys hunting, fishing, shooting, and other spontaneous activities. Trevor dedicates time off to the Oregon Army National Guard. 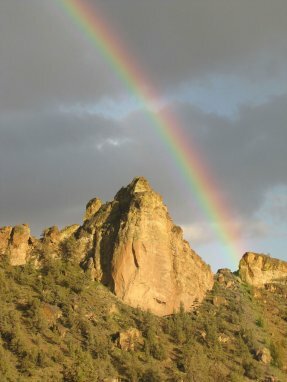 Will Sprite has worked at Coyote Rock Ranch since 2017. He works on the irrigation and hay crew. 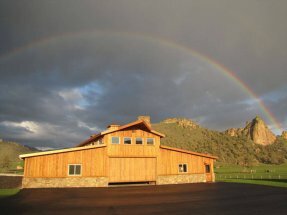 Will says the ranch is a beautiful place to be and this makes coming to work a pleasure. The crew at the ranch is like a second family. Will enjoys hunting, fishing, rafting, and riding dirt bikes in his spare time. 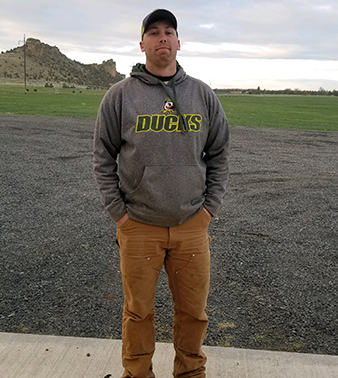 Jesse Sereiko joined the landscape crew at Coyote Rock Ranch in the spring of 2018. Jesse feels that working for the ranch is the best job he’s ever had. Working with co-workers, who are just like family, makes the daily hard work not feel like job at all. 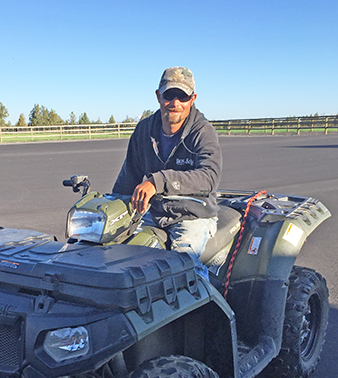 When he is not at work, Jesse enjoys working on his trucks and exploring Central Oregon.